Paint on the wagon bucket contains excessive levels of lead. The recall involves about 15,000 red metal wagons, model MH1250, that have a red steel bucket, a black handle, a black steel axle support, and black tires. Tractor Supply Company stores nationwide from September 2002 through November 2007 for about $30. 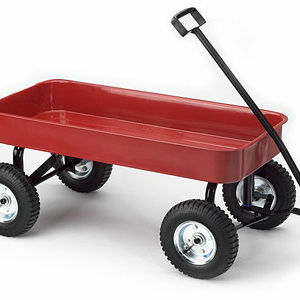 Take the recalled wagon away from children immediately and contact Tricam Industries for instructions on how to return the wagon and obtain a refund. For additional information, contact Tricam Industries at (800) 867-6763 between 9 a.m. and 5 p.m. CT Monday through Friday, or visit their Web site at www.tricam.com.